A congealing conventional wisdom surrounding the 2014 elections is that Democrats had a long night because of an unfavorable Senate map and because Democratic constituencies failed to show up. 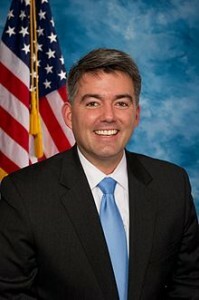 Many around Colorado have stated that should Gardner have lost, with being such a strong candidate in such a strong year, Colorado Republicans could have written themselves off for at least a generation. One heavy, unsaid, assumption in there is that even as good of a candidate as Gardner was, he couldn’t have won in a Presidential-year electorate. Trende flips this narrative and shows Gardner was such a strong candidate that even if the same voters from 2012 or 2008 turned out in 2014, Gardner still would have won. We all remember the hoops Udall jumped through to avoid being seen with President Obama. If Obama’s popularity doesn’t increase in the next two years, we’ll get to see a whole host of Colorado Democrats learn to dance the Udall two-step. Great information! The information contained in this web really very nice.